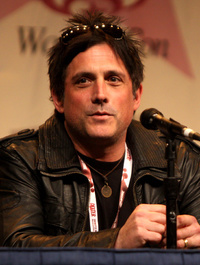 Joel Howard "J. H." Wyman (born January 5, 1967) is an American-born Canadian actor, producer, screenwriter and director. He is known for his role in various Canadian and American series and films, including Billy K. (William Kramer) in Catwalk, Cory Robbins in Pacific Palisades and Lyle Springer in Sirens. This webpage uses material from the Wikipedia article "J._H._Wyman" and is licensed under the GNU Free Documentation License. Reality TV World is not responsible for any errors or omissions the Wikipedia article may contain.